Posted on 13, July 2016 by EuropaWire PR Editors | This entry was posted in Art & Culture, Education, Science, United Kingdom and tagged Alan Alda, Famed actor, Leverhulme Research Centre for Forensic Science, The University of Dundee. Bookmark the permalink. DUNDEE, 13-Jul-2016 — /EuropaWire/ — Alan Alda, the famed actor and passionate advocate of communicating the benefits of science, has lent his support to the newly launched Leverhulme Research Centre for Forensic Science at the University of Dundee. Alan rose to international fame playing Hawkeye Pierce on the classic television series M*A*S*H, and wrote and directed many of the episodes. He continues to take prominent roles, earning great reviews this year for his roles in Steven Spielberg’s `Bridge of Spies’ and in Louis CK’s groundbreaking web series `Horace and Pete’. 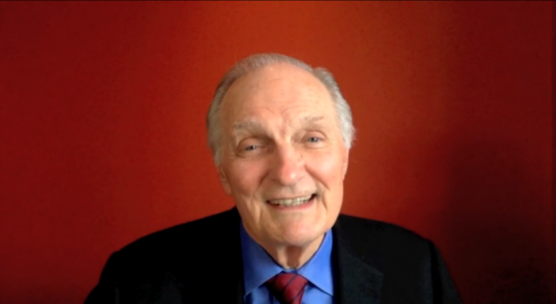 For well over 20 years he has also worked extensively to help broaden the public’s understanding of science, and helped found the Alan Alda Center for Communicating Science at Stony Brook University where he is a Visiting Professor, helping to develop innovative programs that enable scientists to communicate more effectively with the public. The Alan Alda Center is one of the international partners which will link with the Leverhulme Centre at Dundee, which was officially launched by Her Majesty The Queen yesterday, July 6th. To mark the partnership, Alan sent a video message to all the Leverhulme partners. Professor Niamh Nic Daeid, co-Director of the Leverhulme Research Centre for Forensic Science, said, “If we are to be successful in our ambitions to raise the whole field of forensic science to a new level then it is essential we are able to communicate effectively with a wide range of partners and also, vitally, with the public. The Leverhulme Research Centre for Forensic Science has been established at the University of Dundee with a £10million award from the Leverhulme Trust. The Leverhulme Centre builds on the University’s reputation as one of the world’s leading centres of excellence in forensic science. It is led by Professors Dame Sue Black and Niamh Nic Daéid.